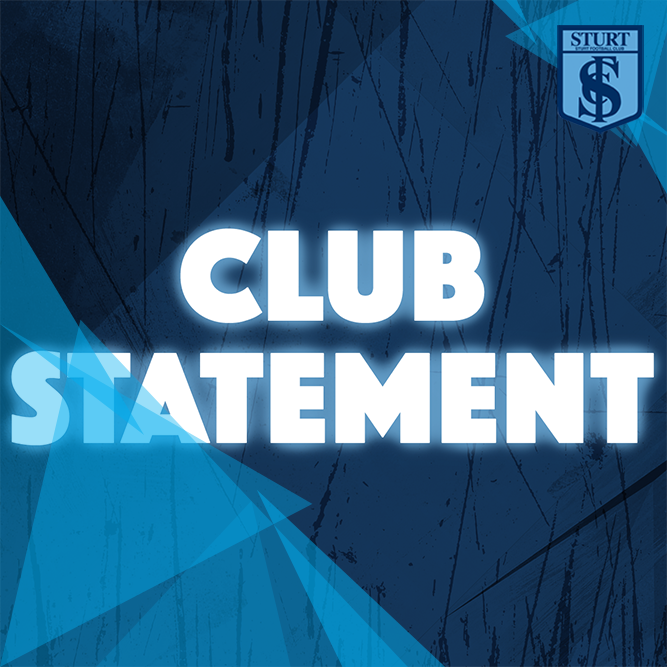 Sturt Football Club is pleased to announce it continues to operate strongly off field, with another healthy surplus following on from the last four year’s impressive financial results. This year the Club has posted a $683,000 surplus. This figure includes the AAMI Stadium land divestment payment and the Building the Blues fundraising campaign. Sponsorship, Fundraising & Membership remained strong. The Club’s licensed premises, BarZaar traded above budget despite a statewide decline in gaming. The club has continued to pay down its bank and unsecured debt. Creditors and ATO obligations are all current. President Jason Kilic said it was extremely important to post the fifth successive surplus but stressed the one offs due to the Building the Blues fundraising campaign and extraordinary AAMI Stadium land divestment payment, the third annual installment of seven’. “We thank The City of Unley, State Government the AFL and our supporters for their contribution to Stage I of the Unley Oval Grandstand Project and look forward to starting Stage II”, said Kilic. The Club has appointed ex AFL player Nathan Grima as senior coach who replaces Marty Mattner. In his speech to members Football Manager Chris Trapp noted that in his time at the Club he had never seen the squad fitter. Kilic said that Board and Management are making the right decisions for the Club but maintained that the Club’s priority was to stay financially in the black. “We can now boast the best facilities in the league and are incredibly excited about this upcoming season,” said Mr. Kilic. Click here to view Annual Report – available for download until 31 May, 2019.